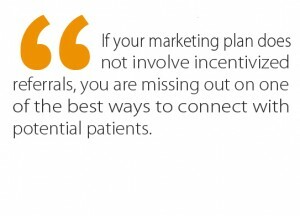 Discover how to get more patients to your dental practice with help from the marketing experts at Farotech. Are you asking the same question as all of the other dentists in your area? At Farotech, we’re willing to bet that you are. 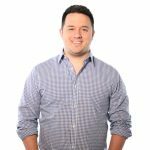 After 14 years of working with many other dental practices like yours, we have found that almost everyone wants to know the same thing: how to get more patients to your dental practice. What have you done to try to solve the dilemma of how to get more patients to your dental practice? Most dentists try the same old approaches every time. Spend more money. Advertise more. Try to gain the attention of new patients with clever ads or new material. But these outbound approaches are outdated and fail to provide the results you need. Instead of continuing to waste time and money looking outward, it’s time to turn inward to embrace a better way. How well are you really using the resources you already have? 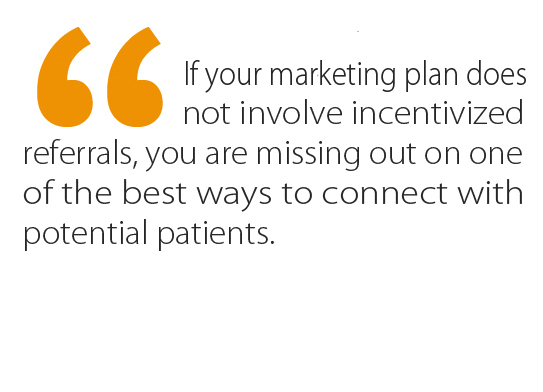 If your marketing plan does not involve incentivized referrals, you are missing out on one of the best ways to connect with potential patients. Your current patients have the potential to be the best ambassadors for your practice. They have received your excellent service and enjoy the results you have provided. Equally importantly, they are connected to a great network of friends and family throughout your community. With those relationships already in place, they can offer the trusted recommendation many people need to make the commitment to a new practice. But how often is this really happening in your practice? You: Thank you so much for coming in! I’m also hoping to thank Matt for referring you, and I’m hoping you can help. Susan: Sure, what can I do to help? You: Check out these products in our Referral Book and find one that you think Matt would like. Then, we’ll send him a card to thank him for referring you to our practice! Susan: Do you do this for all of your referrals? You: Absolutely… our patients are the most important ambassadors of our practice; we want to make sure that they know how much we appreciate their good word to friends and family members. By the end of the conversation, you can see the wheels turning in Susan’s mind. She can’t believe that Matt is going to receive such a great gift for referring her to this practice! After her great experience, including getting to participate in choosing Matt’s gift, she can’t wait to do the same. After just one visit, you have two loyal brand ambassadors who are enthusiastic about spreading the word about your practice. Want to Learn More About How To Get More Patients to Your Dental Practice? Matt and Susan’s story is just one of the amazing illustrations of the power of incentivized referrals. Pretty soon, you won’t have to ask how to get more patients to your dental practice; you’ll be too busy keeping up with scheduling all of your new referrals! What, if anything, are you currently doing to encourage your patients to refer their friends and family? How is it working? Share your stories with us in the comments section below. Then, if you’re ready to learn more about getting more patients into your dental practice, give us a call at 267.387.6620.